It’s here! Official Launch Day – Goannatree style! Well, let’s start with Goannatree.com. It looks pretty different from when I first began in 2007 as a way to share my journey as I moved from Canberra, Australia to Waco, Texas, in the ol’ US of A. As the aesthetic has changed, so has the telos of Goannatree, into something more about engaging with you and finding my voice. My life has been a pretty crazy adventure over the last few years. I find myself here now living in a cottage-by-the-sea in St Andrews, Scotland (completely the wyrdest place i’ve ever lived). I’m writing about the things I’m most passionate about and excited by. I’m finding myself as a photographer again, and pushing my own creative limits. I’m one year from (hopefully) finishing my doctoral thesis in theology and literature. I’m enjoying the adventure! I’m learning more about what kind of teacher, scholar, friend, sister, and daughter I want to be. I’m travelling. I’m creating. I’m hoping. I’m savouring. I’m listening. I’m pondering. I’m seeking. I’m praying. I’m Dreaming. I’m loving. 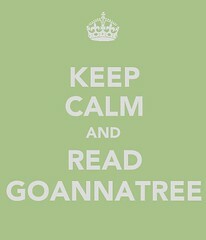 Goannatree also has a facebook page – http://www.facebook.com/goannatree – for another opportunity to connect with a growing community. I’d also enjoy connecting with you on Twitter (@goannatree) if that’s your preferred mediums. For those interested in the academic side of things, then you might find Academia.edu the best way! I’ve found Pinterest particularly inspiring on the gorgeous images front of late. If you’re interested you can take a look at the images that have been inspiring me of late! Each of these strands will offer more useful posts and information so that if you are only interested in one aspect of Goannatree, it’ll be easier to find what you need and what you’re interested. Stay tuned for new landing pages for each of the strands and features specific to each strand! It’s going to be an eventful summer around here! Many of the regular features will remain. Some, like the Home Library series will continue and will find a home in the Inspiration section of Goannatree.Arts, while there will be a regular “From the Cottage-by-the-sea” post in Goannatree.Reflections. creative project I started almost two months ago. It’s a way of challenging myself creatively, but I’m also enjoying sharing fragments, by way of images, of life in Scotland. The Basics has been expanded and a new index page compiling all the posts in one easy to navigate location has been created. What posts or topics would you like to see addressed by this series? 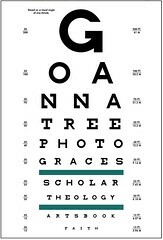 The Christian Scholars Directory came out of a series of posts reviewing theology blogs in 2009. It has now developed into a useful and evolving resource. Over the summer, the Directory will also see further development. I’m always looking for additions and corrections, so please don’t hesitate to contact me via the contact form or in the comments with suggestions. Over the last year I’ve become involved with a number of other projects. I’m writing more than ever before and embracing what it means to be finding ways of sharing my research with a broader audience. I’m looking forward to sharing more about some of the opportunities that have been making life even more of an adventure! For right now though, if i’m not here I can usually be found at Transpositions, a collaborative projects I co-founded with some colleagues about this time last year. It’s all about Theology, Imagination, and the Arts. It’s about artists and their art. It’s about Imagination, the world in which we live. It’s about living out your belief and faith right here right now. It’s about thinking carefully, and thoughtfully about God, about the church, and about life, and, of course, about the arts. Here’s a full list of all my (Anna) posts on Transpositions. A little while back I met the lovely Melisa Dinwiddie and agreed to become a Resident Genius on her 365 days of Genius project. I answer a Question of the Week alongside the other Resident Geniuses… I still think it’s a little crazy being called a Resident Genius, but hey, sometimes you’ve just got to roll with it. I’m sure things will keep evolving, but for now, welcome to the next iteration of Goannatree! Hope the house warming goes well. A good new look, Anna. Thanks Melissa. I look forward to taking a moment to consider each Question of the Week!